Long Island Divorce Papers | Petroske Riezenman & Meyers, P.C. You start a divorce in New York by filing divorce papers. Many people try to handle their divorce themselves, but hiring one of our Long Island divorce attorneys would be a big help. If you fill out your paperwork wrong, or if you do not serve them in the proper manner, then your divorce could be delayed. 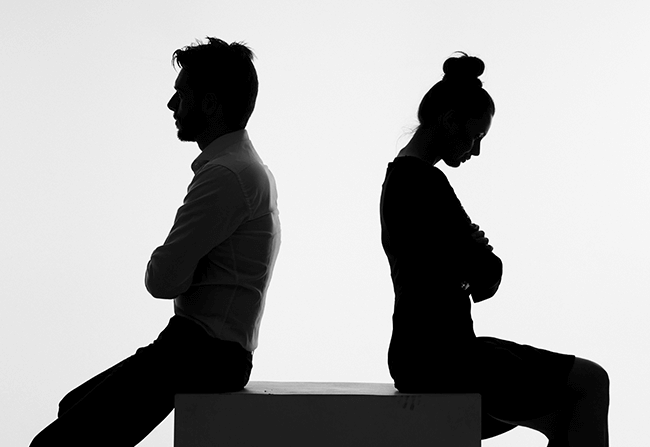 If you disagree on one of these issues, then your divorce is “contested.” You should certainly have an attorney represent you if you are contesting any issue in the divorce. There are many forms you will need to complete, but the most important is the “Verified Complaint.” In this document, you will identify the reason for the divorce and identify your children, including their date of birth. You need to file your divorce papers in the county where you live. You should make several copies of your forms and take them to the courthouse. The Supreme Court handles divorce cases, so go there and ask how much it costs to file. If you cannot afford the filing fee, you can submit paperwork to request a fee waiver. Your spouse has a chance to respond to your divorce complaint, so you will need to send him or her a copy of it, along with copies of other required forms. The method of service is very important, because if you send the papers to your spouse improperly, then you do not have a valid case. For example, you can’t just hand the papers to your spouse yourself. However, you can ask someone 18 or older to personally deliver them. Pick someone you trust. If you don’t want to involve friends or family, you can hire a professional process server who will serve them for a small fee. Of course, not all spouses live together, and you might not be able to find your husband or wife in person. There are other service options, such as “substituted service,” where you have someone personally deliver the papers to someone who lives or works with your spouse (such as a new girlfriend) and also mail a copy of the papers first-class to the defendant’s last known address. Divorce is a complicated process. Petroske Riezenman & Meyers can help. One of our attorneys will meet with you to discuss your case and then prepare, file, and serve the divorce papers. When you hire us, we do all the heavy lifting so that you can begin preparing for your new future. Contact us today. We offer a free consultation, which you can schedule by calling 631-328-2231 or sending us a message.